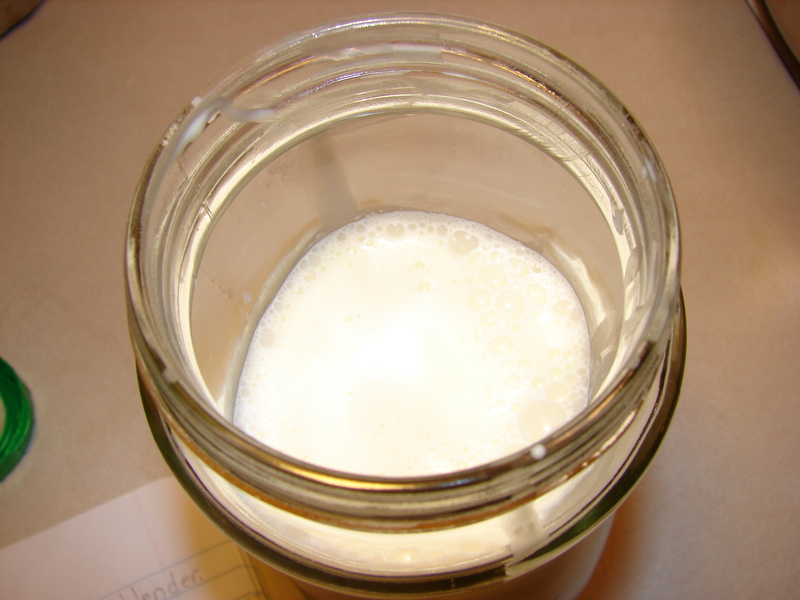 Mix together heavy cream and buttermilk in a glass jar. 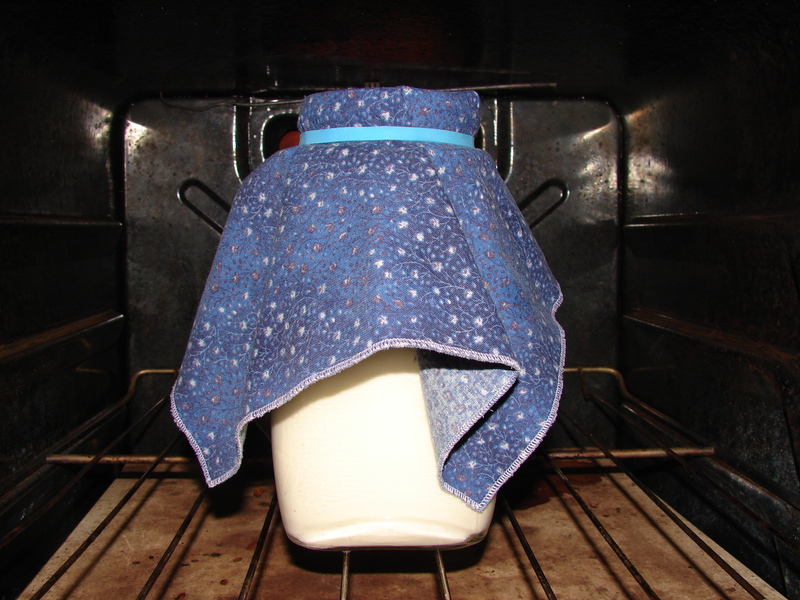 Cover with a cloth (I used a cloth napkin) and let sit in a warm place until thickened, 12-24 hours. I put mine in the oven since it has a pilot light. It looks like sour cream, (and tastes similar) but there’s a difference. 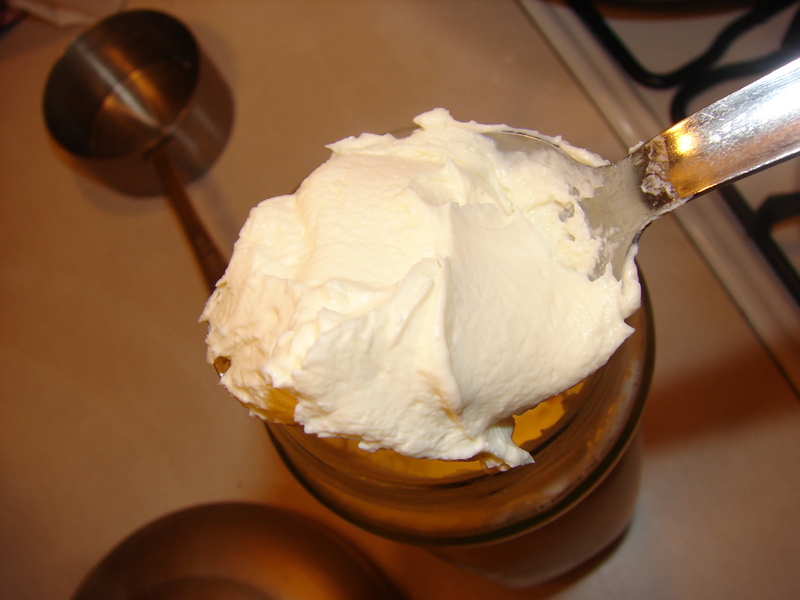 Sour cream is milk, cream, thickeners and gums. 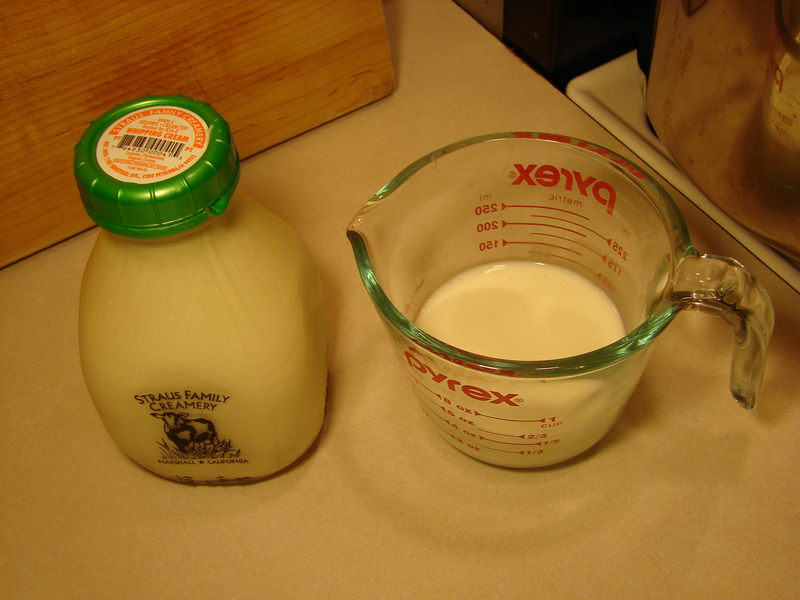 Crème fraîche is cream thickened with a souring agent (in this case, buttermilk). 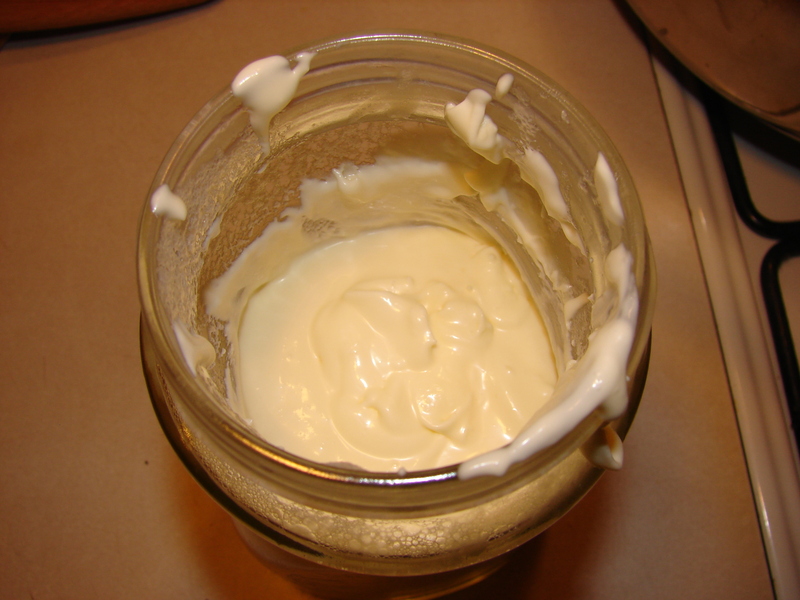 Crème fraîche is not as thick as sour cream, although mine turned out really thick this time. If you like it thinner don’t leave it to culture as long as I did.